NOTE: Please support Sapling by subscribing to their weekly newsletter. Each issue profiles a contest, a small press, and a literary journal, and features an interview or article. This week Sapling talks with Jennifer Geist, Publisher at Brick Mantel Books. Sapling: What should people know who may not be familiar with Brick Mantel Books? Jennifer Geist: Our mission is to publish literary fiction and thought-provoking poetry that leave a lasting impression. We want to help readers gain a stronger sense of the world and humanity through literature. Rather than plot-driven works, we are more interested in character-driven literature. Don’t get us wrong—plot is important too, and characters generally need to be doing something, but we want to feel a deep connection to living, breathing characters, and we want readers to feel different after reading our authors’ works. JG: For anyone that’s had to come up with a name for a business, I’m sure you know how tedious of a process that can be. Especially in the current climate, when many authors are creating their own publishing companies to self-publish under, nearly every name we thought of had already been taken. That being said, nothing we came up with was as good or felt as “right” as Brick Mantel Books. I’m so happy it wasn’t taken. My father is a bricklayer, so that partially inspired it. I also wanted to convey the feeling of a warm fire, a comfy armchair, and a good book to enjoy. JG: The first thing I notice is whether a submission has followed our guidelines or not. Having to reach out for additional details throws a wrench in the process and usually means that the author did not bother to read our website. It’s not a deal breaker, exactly, but it may push a submission to the back of the virtual pile or even mean your work isn’t read if you don’t respond to my request to complete your submission. Plus, you want editors to be in the best possible mood when reading your work—why add additional obstacles? As for the actual reading, I pay close attention to the language authors use and how well they flesh out their characters. If a manuscript sounds like a thesaurus was consulted for every sentence or the characters just don’t feel real, those are usually bad signs. If you have sentences that I would highlight because they’re so lyrical and capture a feeling perfectly, or I’m instantly sucked into the mind of the protagonist, those are usually good signs. I’m even more picky when it comes to poetry—if it’s a poem about love or nature that sounds like many before it, if it doesn’t push boundaries and make me think, then I’m not interested, and our readers won’t be, either. There are no hard-and-fast rules in literature, so I hate to generalize too much, but that might give you an idea of what I’m looking for. Sapling: Where do you imagine Brick Mantel Books to be headed over the next couple years? What’s on the horizon? JG: We’re brand new, so we still have a lot of growing to do. We do have the benefit of being attached to a decade-old parent press with lots of experience and connections, but Pen & Publish was founded in Bloomington, Indiana. I live in St. Louis and am trying to expand our presence here. That means lots of events—we’ll be at the St. Louis Small Press Expo, Lit in the Lou, and the Ozark Creative Writers Conference (in Arkansas, but with lots of regional writers), all within a three-week timeframe. Amazingly, we already have more submissions than we know what to do with, which is both exciting and daunting. I think there was a real need for a literary press in St. Louis, and we’re happy to fill that niche. We’ll probably look to expand our internship program to help with both submissions as first/second readers and to train and perhaps hire more freelance cover designers, editors, and book compositors. Looking to the future, we want to also start attending larger national and regional events, perhaps create a literary magazine, and publish six or more titles per year. 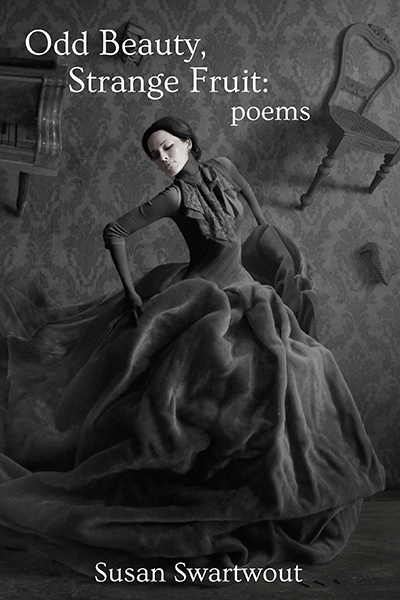 We’ll have three this fall, starting with our first poetry book, Odd Beauty, Strange Fruit, a collection by Susan Swartwout to be released on October 1, 2015. 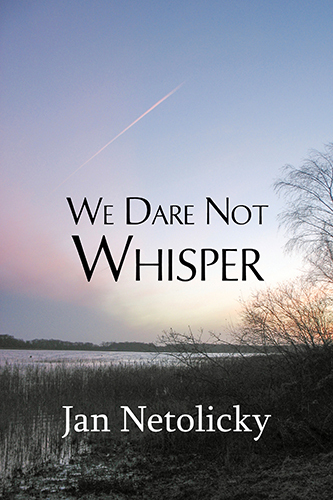 Other forthcoming books include Glass by Kate Kort (November 11, 2015) and We Dare Not Whisper by Jan Netolicky (December 1, 2015), both literary fiction novels which explore the impact of mental health on those who suffer with it as well as those closest to them. JG: The hardest part is definitely finding enough time to do everything. Since I’m able to work with a book throughout every part of the process, and because I’m reluctant to “miss out” on taking a book from start to finish, I often work with a book from reading the submission to publication and beyond. I also work with our parent press for school and nonprofit books, and our sister presses, Open Books Press and Transformation Media Books. During particularly busy months, things get a little crazy. The second hardest part may be reading a manuscript that I’m falling in love with and then getting an email that it’s been accepted elsewhere. Accepting simultaneous submissions means we get more, but it can be challenging as well. However, the absolute best part is that I’m living my dream—making a living by reading books. Obviously there’s a bit more to it than that, but I love every part of working with books. It is a very rewarding process to be able to find a book that you love and to grant an author’s dream to turn it into a published book they can hold in their hands and share with the world. Sapling: If you were stranded on a desert island for a week with only three books, what books would you want to have with you? JG: I’m the worst at coming up with answers for these types of questions, because my favorite books (or anything else) change so often. It’s about time to reread it, so I think one would be Brave New World by Aldous Huxley. (This could also be 1984 by George Orwell; I enjoy dystopian novels quite a bit.) Because it’s very long and I haven’t yet read it (too many submissions), I would also take Infinite Jest by David Foster Wallace. Last but not least, to feel like I had some company, I would take Lord of the Flies by William Golding. Sapling: Just for fun (because we like fun and the number three), if Brick Mantel Books was a person, what three things would it be thinking about obsessively? With 6 years of experience in editing, book compositing, photography, graphic and web design, marketing, writing, and more, Jennifer Geist is able to see any book from acquisitions to publication and beyond. 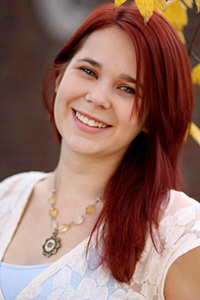 She received her bachelor’s degree in creative writing with a focus in small press publishing through Southeast Missouri State University. She has worked with numerous small presses and her stories and photos are published in a variety of literary magazines. 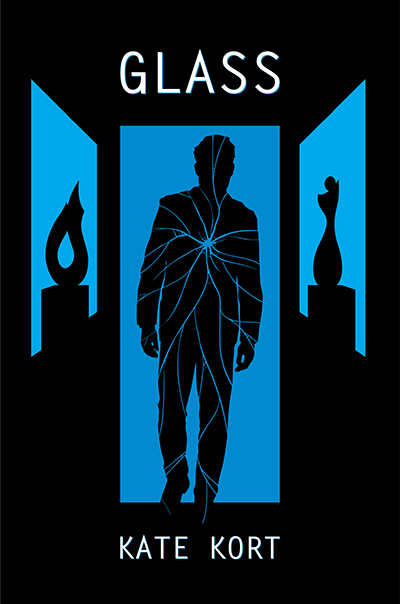 In addition to heading Pen & Publish, Open Books Press, and Transformation Media Book, she added a literary fiction and poetry imprint in 2015: Brick Mantel Books.